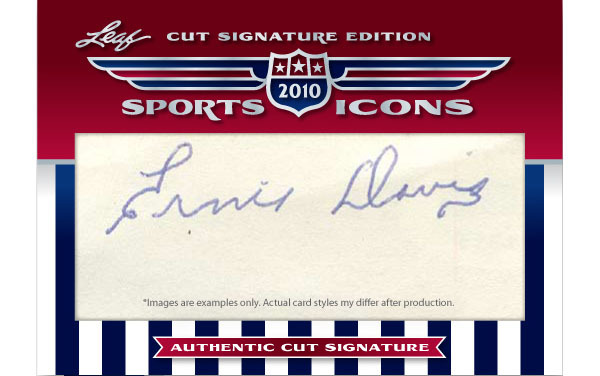 This exciting cut signature release from Leaf Trading Cards easily represents the greatest cut signature sports themed checklist of all-time. Featuring over one thousand sports Hall-of-Famers, this Sports Icons release will prove to be a hall of famer itself! Leaf is pleased to announce their "Four Leaf Clover" promotion which will award the greatest prize ever pack inserted into a trading card product: a 2010 Leaf Shoeless Joe Jackson Cut Signature Card with an estimated value of around $70,000! There will be four of these Four Leaf Clover cards created. Three will be inserted in the packs and the fourth will go to the collector who comes closest to completing the 2010 Leaf Icons Update set. One of these 4 collectors will walk away from the 2011 National Sports Collectors Convention with this rare Joe Jackson Cut Signature card! The other 3 collectors will each win a free sealed case of 2011 Leaf Sports Icons Cut Signature Sports Icons Update! Look for rare cut signatures featuring: Babe Ruth, Cy Young, Jackie Robinson, Hack Wilson, Roberto Clemente, Mel Ott, Rogers Hornsby, Roger Maris, Tris Speaker and other legendary names from baseball's early days! 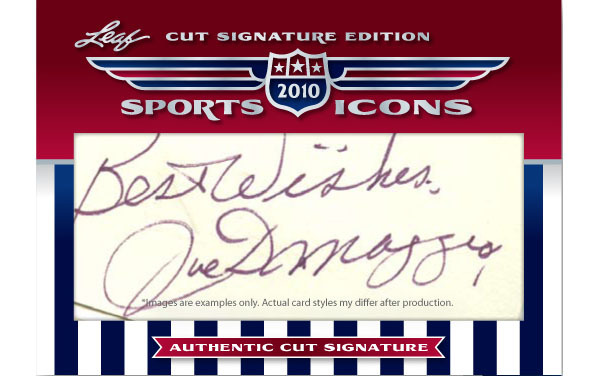 Look for multi-signature cut signature cards: Marilyn Monroe/Joe Dimaggio, Bart Giamatti/Pete Rose, the Four Horseman of Notre Dame and more! 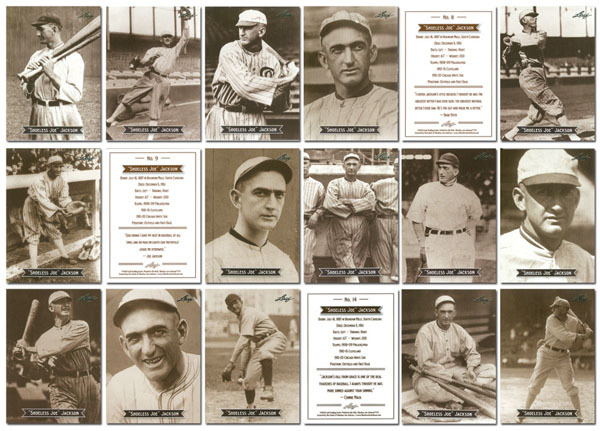 Every box contains 1 of 15 different Shoeless Joe Jackson cards! Let the search for Shoeless Joe Jackson begin! 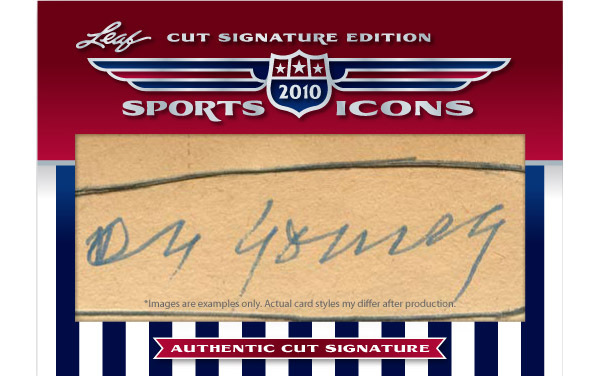 2011 Leaf Cut Signature Sports Icons Update delivers 2 cut signatures and 1 Joe Jackson card in every $150-$200 hobby box. 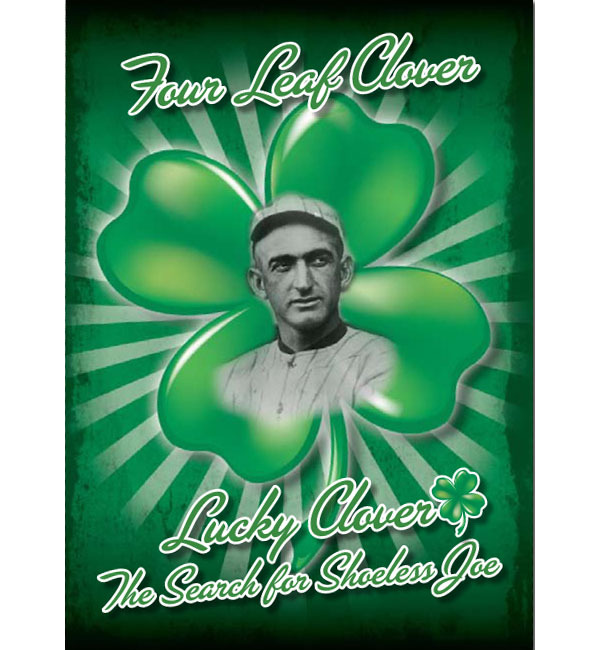 Four lucky collectors will pull a "Four Leaf Clover" card, with one winning a Shoeless Joe Jackson cut signature worth an estimated $70,000 at the 2011 National Convention! I haven’t seen many, if any, bad boxes yet. Very solid product. And the hunt makes it even more exciting!